North Korea fires missile that flew over northern Japan. This is Pyongyang's second firing in recent days. North Korea fired a missile early on Tuesday (local time) that flew over northern Japan, the South Korean and Japanese governments said, according to Reuters. Japan’s public broadcaster NHK reported that the missile broke into three pieces and fell into the waters off Japan's Hokkaido. The Japanese military did not attempt to shoot down the missile, which passed over Japanese territory around 6:06 a.m. local time (2106 GMT), according to Reuters. The launch is North Korea’s second in recent days. Early Saturday, Pyongyang fired three short-range ballistic missiles. The U.S. Pacific Command said two of the missiles flew 250 kilometers (155 miles) while the other appeared to have blown up immediately. Saturday’s firings came just days after U.S. Secretary of State Rex Tillerson welcomed North Korea’s recent “restraint”, adding talks with Pyongyang may be possible "in the near future". 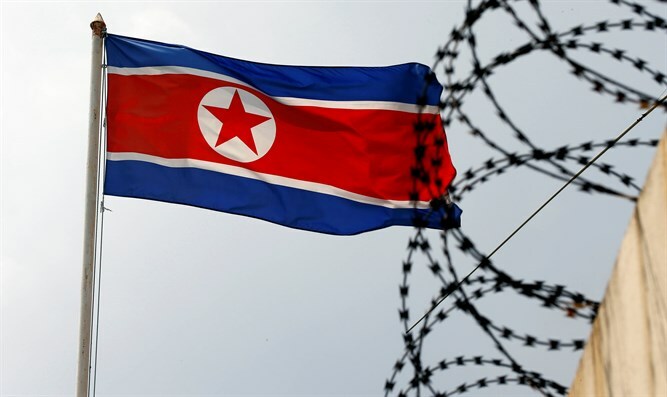 The tests come amid tensions between North Korea and the United States in recent weeks, though the tensions had appeared to have eased. North Korea threatened a missile attack on Guam, a tiny U.S. territory in the Pacific, in response to President Donald Trump’s warning that Pyongyang faced "fire and fury like the world has never seen" if it continued to threaten the United States with its missile and nuclear programs. Later, however, North Korea toned down the rhetoric and Kim said the attack on Guam would be put off while he watches U.S. actions. Referring to North Korea’s missile test from Saturday, Tillerson on Sunday called it a “provocative act” but stressed that the United States will continue to seek a peaceful resolution.